The new 1,200-square-foot Structural Heart OR at Kalispell Regional Healthcare incorporates the most state-of-the-art technology for performing surgeries on one of our most vital organs: the heart. Central to its design is the CLEANSUITE® system. 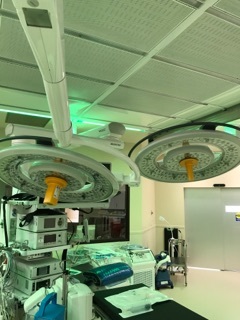 Our engineers defined the mechanical, electrical, and plumbing parameters of this single-source, fully integrated diffuser system for low-turbulence laminar flow applications, and coordinated with the structural consultant and medical equipment supplier to centralize the design and installation of all components into this one system. 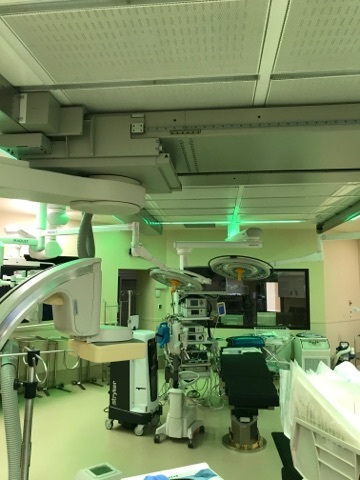 •	Green Light Application to lessen the visual strain on the surgeon while allowing for adequate ambient light. 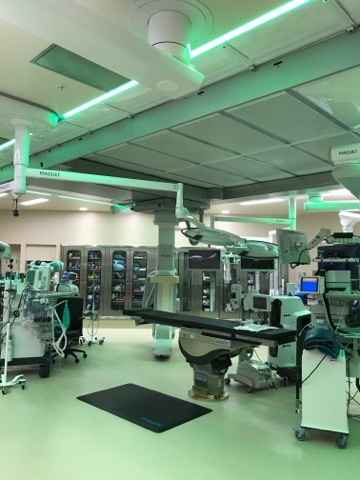 The OR is located within the shell space of the KRH Surgical Services Tower, a multimillion-dollar expansion. Our design of the Structural Heart OR is helping to set the standard in cardiac care and surgical techniques in Montana.